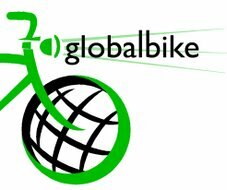 globalbike's sole purpose is to provide bicycles to community care workers in the developing world. The 2010 African Cup of Nations, hosted in Angola, started the day I arrived in Zambia and the final match is a few days after I leave. Naturally, the Zambian national pride is widespread and football is the hottest conversation topic. In fact, I've used the African Cup as an icebreaker with almost every Zambian I've met, especially the drivers that pick me up in the morning. Honestly, I only became a true soccer fan my freshman year of college when all of my close friends, girls and guys, played soccer for Wofford. I proudly watched my friends win the Men's Southern Conference Championship this past fall. As a result, when I heard about the African Cup I was eager to" get into" another football tournament and support the Zambian team as a way to connect with people here. I have watched Zambia make their way to the quarterfinals; including a game they lost to Cameroon (that could have cost them the chance to move forward!) that I watched with an international conglomerate in Livingstone. I've become a regular Chipolopolo (Copper bullets) fan, even joining in on the jokes about the French movie-star looking coach Herve Renard. Tonight, Zambia played Nigeria for a spot in the final four of the African Cup. It was the best I've seen Zambia play the whole tournament! 20 shots on the goal, majority possession in the second half, great defense that won nearly every ball...I had fun watching the game on a huge screen in a pub crowded with Zambians rooting loudly to the point of being obnoxious. Lena, Libby, and the very enthusiastic Emily and I huddled into the bar to cheer. The Nigerian team members are MASSIVE; they're built more like rugby or American football players rather than soccer players! I was really upset! They had played so much better than the Nigerian team! The Zambian team missed the semifinals by a penalty kick?! Come on! So now Thursday at 11am Nigeria plays Ghana and at 2:30 Algeria plays Egypt. Looking at the final four, everyone is predicting Egypt to take it all and win the African Cup again. I'll be watching the 230 while I'm waiting in the airport to leave I'll be glued to the television to see how Egypt fairs. I'm glad you're branching out into another sport. Maybe we can attend some matches together when you get home. BTW iit's colad again so be prepared. I feel bad that I haven't been reading your blog every day, but I'm going to catch up on it because what you write is really interesting. I hope you enjoy the rest of your trip and we can't wait to have you back! We ran to the Upstate trails the other day and could have used your trail-blazing skills! Miss you and see you soon!! !